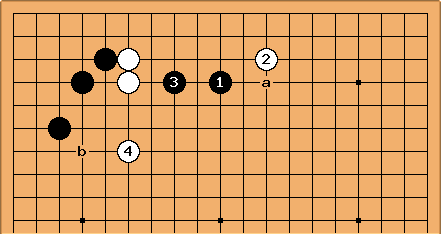 For reasons discussed at 4-4 point low approach low extension, although White has a good local continuation here, it is also frequently seen in high-level games that White plays tenuki. How severe an attack does Black have? 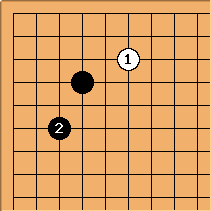 If Black had played the marked stone, on the fourth line, this way is normal and good for Black. 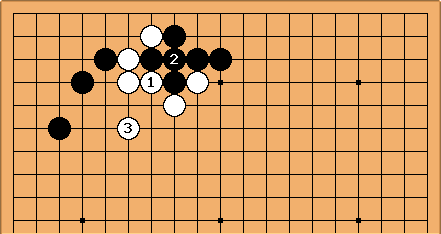 Black 3 isn't by any means the only pincer that can be played here, but it is at an intermediate distance from the white stones. 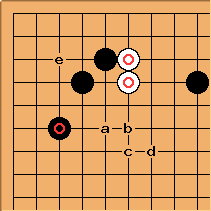 That makes it harder for White's weak group to make a base, and also harder for White to launch a counter-attack. Those general points always apply to two-space pincers. Since it is on the fourth line rather than the third, it is also somewhat lighter. 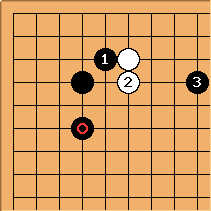 Since White's way out into the centre here is a jump to a point such as a, b, c or d, it does make quite a difference that the marked stone here is on the third line, in the keima (small knight) case. In fact in pro games there isn't one set way for Black to attack here: all the pincers a to f have been tried, as well as the pseudo-pincer at g in some recent games. The most common idea is f.
Of course it matters greatly what is happening in the right corner. 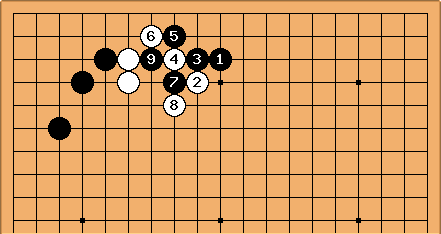 If Black were very strong there, White's tenuki is a less obvious plan. In pro games this type of sequence is seen. 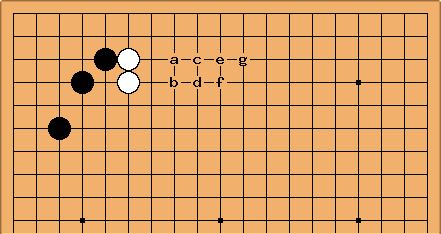 White plays 2 or a as a checking move on the side, to keep Black 1 weak. Black plays 3, a 'mutual base' play. White jumps out rapidly at 4, and a running fight will develop. Now b looks like a vital point of shape. It is therefore not so easy to understand how much White will be punished for playing tenuki. It looks quite like a global question. So attention has been paid to other plans for Black: play a pincer without the diagonal attachment; or even to close the corner immediately, which is a very territorial attitude. Here are some more variations, thanks goes to Royksopp [4d]. Three space low pincer followed by shoulder hit. Three space low pincer followed by shoulder hit continued.